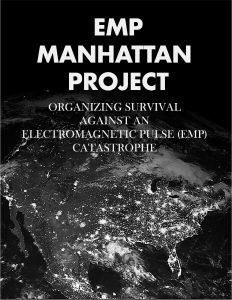 The latest EMP commission found the United States is confronted with "a present and continuing existential threat from naturally occurring and manmade electromagnetic pulse assault and related attacks on military and critical national infrastructures." "An extended blackout today could result in the death of a large fraction of the American people through the effects of societal collapse, disease, and starvation," the commission stated in its July 2017 report. "While national planning and preparation for such events could help mitigate the damage, few such actions are currently underway or even being contemplated." William R. Graham, former head of the EMP commission, stated in a preface to the book that a nationwide electrical blackout of one year "could kill millions, perhaps prove fatal to most Americans, by starvation, disease, and societal collapse." "EMP is a civilization killer," Graham said. 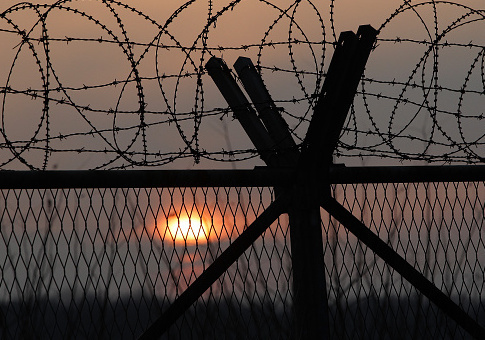 The threat was highlighted by North Korea's announcement in state-run media in September 2017 that the country's thermonuclear device could be detonated at high altitude and produce "great destructive power … for superpowerful EMP attack." Russia's EMP weapons program is said to include both strategic and tactical EMP arms, some of which reportedly are designed as antiaircraft weapons. EMP and cyber attacks would impair the United States quickly and decisively by causing blackouts resulting from disabling large portions of the U.S. electric grid. The current grid includes three regional systems for generating and distributing electric power. "Foreign adversaries may aptly consider nuclear EMP attack a weapon that can gravely damage the U.S. by striking at its technological Achilles Heel, without having to confront the U.S. military," the book states. Pry blamed bureaucratic politics and government bungling for the fact that the most recent EMP commission report revealed that recommendations made by the earlier EMP panel in 2008 were never implemented. "A new finding of the congressional EMP commission—that notes not a single recommendation of the original EMP commission has been implemented since 2008, a decade ago—is that the chief impediment to protecting the American people from EMP is not technology or cost, but the incompetence of the U.S. government," Pry said in a email to the Free Beacon. "Bureaucratic politics has been the chief impediment," he added noting the Defense, Homeland Security, and Energy Departments as well as the U.S. Federal Energy Regulatory Commission "have all failed in their duty to make EMP protection of life-sustaining critical infrastructures a high priority, and have failed to work together to achieve the necessary protection." President Trump, however, has made dealing with EMP a priority. "President Trump deserves high praise for being the first president to include EMP protection of the electric grid and other life-sustaining critical infrastructures in his new National Security Strategy," Pry said. Congress passed the Critical Infrastructure Protection Act in 2016 directing Homeland Security to make plans to survive and recover from EMP a high priority. "But Obama holdovers and the permanent Washington bureaucracy think they know better than the president, the Congress, and the EMP commission," Pry said. "Only in Washington do endless studies, meetings, and conferences on EMP count as action." The Pentagon, Pry added, is holding up publication of several EMP commission reports that were ready for publication at the end of last year. "What is needed is for President Trump to appoint an executive agent, as President Franklin Roosevelt did in General Lesley Groves to head the WWII Manhattan Project that invented the atomic bomb," Pry said. The executive agent would be able to cut through federal bureaucratic roadblocks. "Protecting against the worst threat—nuclear EMP attack—will also mitigate all lesser threats, including from solar storms, nonnuclear EMP weapons, worst-case cyber warfare, sabotage, and severe weather," he said. Pry suggested that Trump could follow the example of President Dwight Eisenhower who personally oversaw development of the national highway system in the 1950s. The cost of a high-priority counter-EMP program is relatively modest compared with the original Manhattan Project. Pry estimates that the nuclear bomb project that required new technology and machines cost about $20 billion in current dollars. The congressional EMP Commission calculated that the cost of hardening the national electric grid would be about $2 billion dollars. Natural EMP can be caused by magnetic solar superstorms, like the Carrington Event in 1859, that if repeated today would cause widespread electrical disruptions, blackouts, and damage to electric grids. A nuclear EMP attack could be carried out with a single nuclear weapon detonated at high altitude or a few weapons set off 200 miles above earth. The nuclear EMP blasts could be fired on long- or short-range missiles, a high-altitude jet strike, or even a high-altitude balloon. "Russia, China, and North Korea now have the capability to conduct a nuclear EMP attack against the U.S.," the book states. "All have practiced or described contingency plans to do so." Terrorist or other less-sophisticated adversaries also might use EMP if they were to obtain a nuclear weapon. Other non-EMP threats to the U.S. electric grid include cyber attacks designed to cause blackouts and sabotage against extra-high-voltage transformers using rifles, explosives, or nonnuclear EMP or directed energy weapons. Pry, who specialized in Moscow's nuclear war planning during 10 years at CIA, currently is executive director of the EMP Task Force on National and Homeland Security, a congressional advisory board.